Industrial and commercial strata opportunities are extremely rare in Kelowna, especially in a central retail location, but they are an increasingly popular choice for businesses that understand the value of building equity in their own company. With continued low interest rates, increasing land prices and very little opportunity to purchase land in central Kelowna, now is a good time to think about buying industrial strata for your business. IntraUrban Enterprise is one of the city’s few industrial strata opportunities. And it’s set in an unparalleled location, in the heart of the city’s Okanagan shopping centre district. 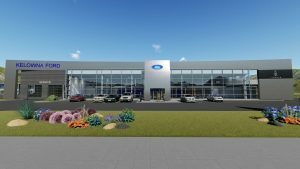 The centrally located, 2.6-acre site will host 23 new industrial strata units on the major intersection of Enterprise Way and Dilworth Drive, one block off of Highway 97. 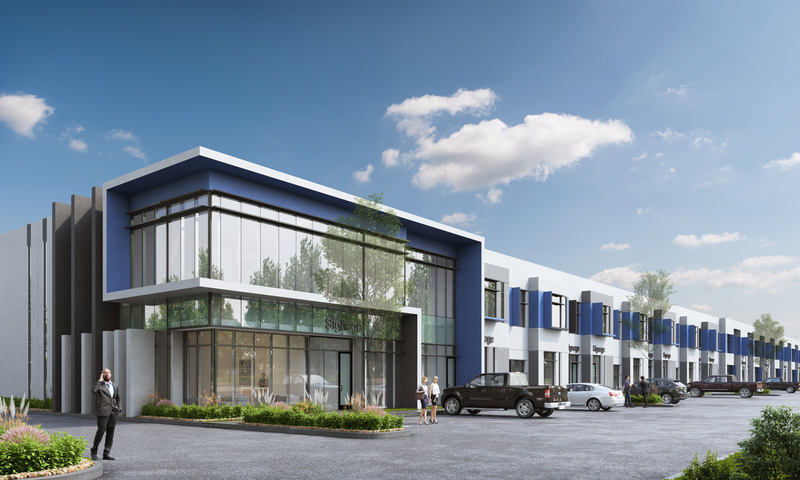 The entire building will cover 66,000 square feet, with the new IntraUrban units ranging from 2,000 to 3,900 square feet and offering quality flex space for general industrial use with office and retail components. 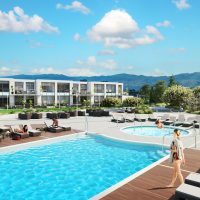 The development will feature bay garage doors, built-in upper mezzanines, generous glazing for natural light and a modern, high-end product that is rarely found in other industrial projects in Kelowna. In 2016, PC Urban launched a commercial strata development in the heart of Vancouver called IntraUrban Laurel. It was the first commercial strata within city limits in more than five years and it was a huge success, selling out before construction started—an unprecedented feat in the Vancouver market, one that highlighted the need for ownership opportunities for the city’s small and medium-sized businesses. PC Urban had a similar experience selling its second industrial strata project on Mitchell Island, called IntraUrban Rivershore and its third, IntraUrban Brentwood, in Burnaby. The company is now bringing their experience with industrial strata to Kelowna’s burgeoning commercial real estate market. 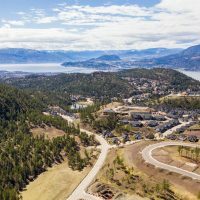 Named by Western Investor magazine as the number one city to invest in real estate in Western Canada over the next year, Kelowna’s land values are set to rise again in the coming years. For more information on industrial strata in the heart of Kelowna, check out www.intraurban.ca/enterprise.